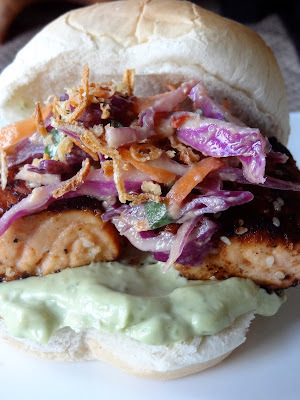 Salmon is one of my favorite fish,easy to prepare and don't take much time to cook. ready to serve,with rice or couscous. or you can serve as sandwiches with Asian coleslaw and avocado-naise =avocado,wasabi and mayonnaise mixed !! What a coincident Rid, seems like we both love salmon and have posted the same one today. Looks very lovely esp with the sauce drizzled on top. 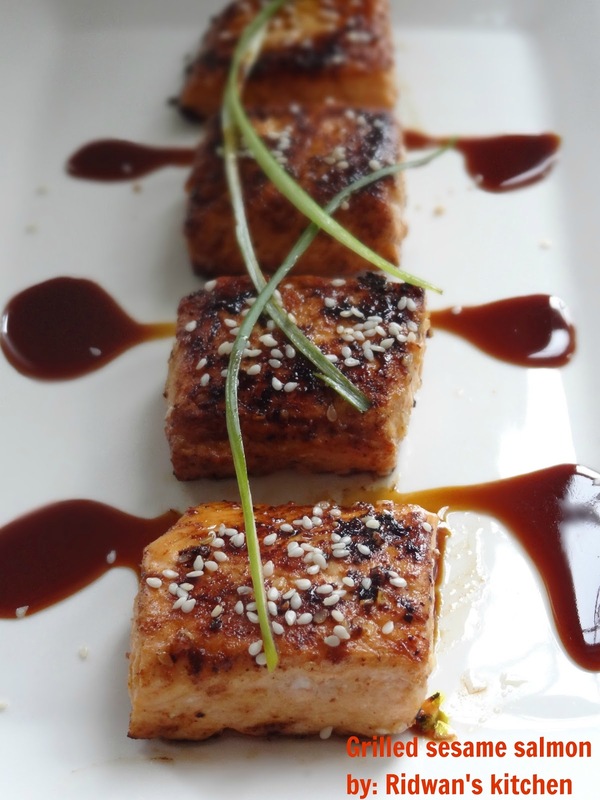 Your plating is always gorgeous--this salmon looks incredibly appetizing. Hanger steak is good, but this is spectacular. 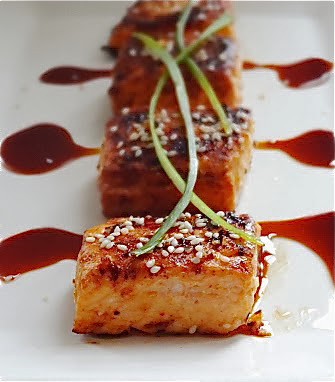 I love salmon and I like that you added some spicy to this! You have one of the most brilliant plating skills...I am excited to try this out. Healthy-steak-y dinner is something my husband will truly enjoy. Thanks for posting this! Sedap sekali and your presentation is fantastic! This is one I'm going to have to try- it looks great!